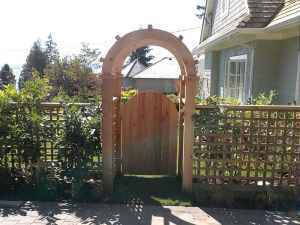 Custom Cedar Installations, Gates, Arbours, Sheds, Stairs & more. 1. Arbours are decorative additions that extend your outdoor living space. 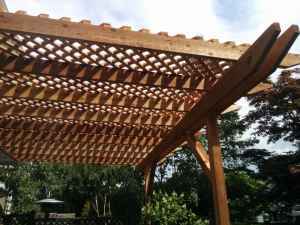 They not only help to create shade but adding a glass or solid roof will keep you dry in case of unexpected showers. 2. Sheds are a great way to help you organize your home and garden. 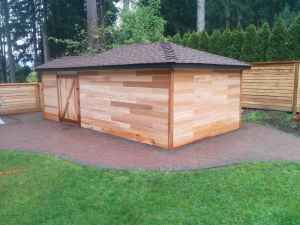 Having a shed gives you valuable space to store lawn equipment or can be used as a workshop. 3. Stairs don't have to be plain or boring, they can be a unique feature and add an aesthetic value to your home. 4. Gates are a necessity for your yard. Whether matching the fence or built to stand out, gates not only provide security but can really be a feature attraction in your fence line. 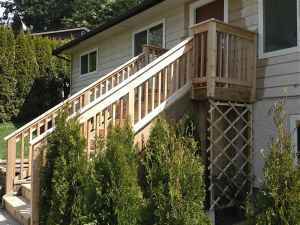 If you need a new deck, cedar fencing, arbour, pergola or anything custom, we service the Vancouver, North Shore, Lower Mainland and Fraser Valley. Don't be afraid to tell us about your projects timeline and budget. We're straightforward with our abilities and pricing, and knowing where you're coming from helps us hit the target.